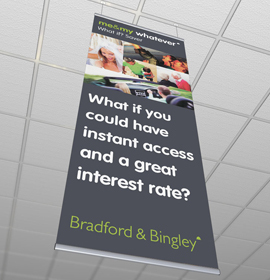 Perfect for paper, card, flexible banners & rigid plastics up to 1mm thick. 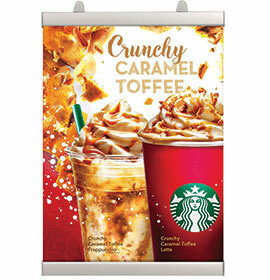 Suitable for ceiling suspension or wall hanging. 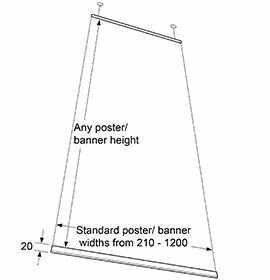 Description All your Poster Hanger will be sent as individual units by parcel delivery. 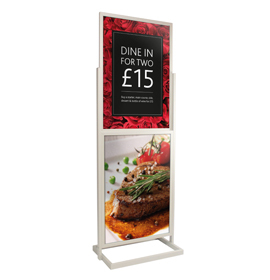 Your Poster Hanger will be sent in two separate deliveries – one by pallet, one by parcel. 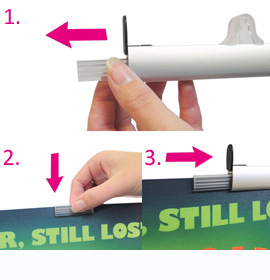 Plastic grippers make it easy to insert and remove graphics. Adjustable hanging clips with keyhole cut outs for either adjustable ceiling suspension or wall hanging. 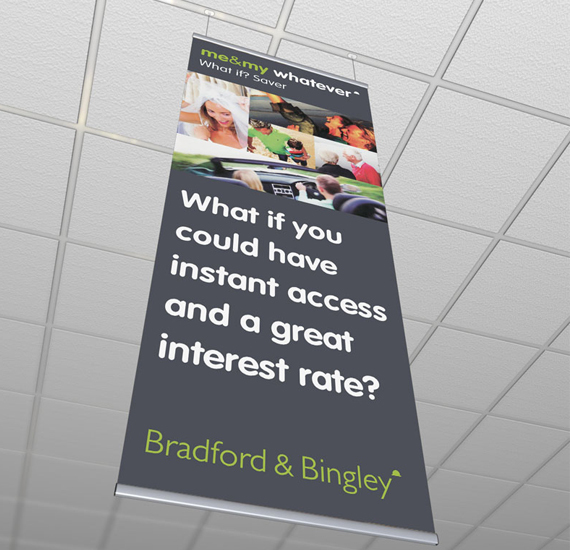 Silver anodised finish as standard, also available in any RAL colour (minimum order quantity 100). 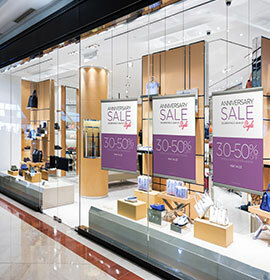 Two aluminium rails (slim 20mm wide) with end caps and poster/banner grippers (two or three per rail depending on size). 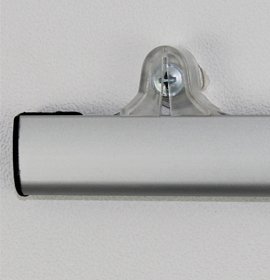 Adjustable hanging clips on top rail (suitable for wall mounting). 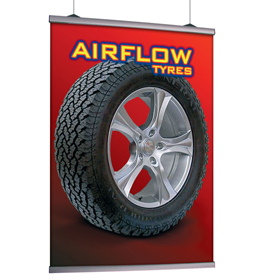 Available in custom sizes made to order, minimum order quantities apply.